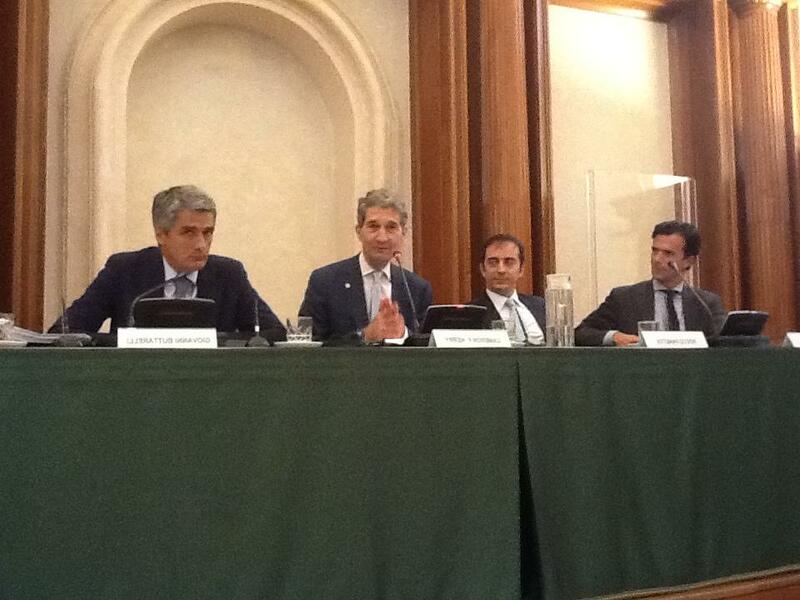 On June 21, 2012, General Counsel Kerry attended a privacy event in Italy -- Data Protection and Privacy Regulation: What Impact on Businesses and Consumers? On June 20, General Counsel Cameron F. Kerry arrived in Rome, Italy for the second leg of his trip to Europe to engage with senior government and private sector officials on consumer data privacy. As President Obama said in the Administration’s policy blueprint, Consumer Data Privacy in a Networked World: A Framework for Protecting Privacy and Promoting Innovation in the Global Digital Economy (Privacy Blueprint), “[n]ever has privacy been more important than today, in the age of the Internet, the World Wide Web and smart phones.” The Commerce Department is committed to protecting consumer privacy while encouraging innovation, entrepreneurship, and supporting jobs and growth. On December 16, 2011 General Counsel Kerry updated the June 15th memorandum implementing the Administration Policy on Scientific Integrity. The update provides additional guidance consistent with the policy recommendations of Dr. John Holdren, Director of the White House Office of Science and Technology Policy (OSTP), who issued an Administration policy on scientific integrity, implementing a Presidential memorandum of March 9, 2009. In particular, the memorandum provides additional direction on federal advisory committees and expands upon the Department's support for scientists and engineers to participate and provide leadership in scientific and professional organizations. This memorandum establishes policy directives for the Department of Commerce to ensure the highest integrity of science and scientific products developed and utilized by the Department and its bureaus. The updated memorandum and the June 15th memorandum are attached below. Cameron Kerry delivered one of the keynote addresses to the Second Annual European Data Protection and Privacy Conference on December 6 in Brussels, Belgium. His address, entitled Transatlantic Solutions for Data Privacy, explained the Obama administration's framework for how to protect consumer data privacy while promoting innovation in the global digital economy. This framework refines the ideas first expressed in the green paper released last year.